An Austrian free software computer programmer and an open-source hardware designer/maker, who wrote the code to support Differentiated Services on Linux, he is mainly known as a hacker of the Linux kernel. Born and raised in Zurich, Switzerland, he received his Ph.D. in Communications from the Swiss Federal Institute of Technology at Lausanne (EPFL) in November 1999. While there, he made contributions to several key pieces in the early days of the Linux kernel; in particular as developer of DOS file system, LILO bootloader (the most used Linux bootloader during the youth of the Linux kernel project) and initrd initial RAM disk. He was the leader of the Asynchronous Transfer Mode network on the Linux project, which has been part of the Linux system since 1995. 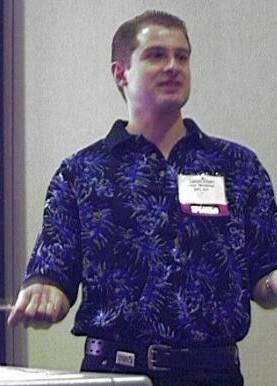 His contributions to Linux (free software projects) include the LILO boot loader, the initial RAM disk (initrd), the MS-DOS file system, much of the ATM code, the tcng traffic control configurator, the UML-based simulator umlsim, and the Openmoko (a version of Linux for completely open, low-cost, high-volume phones). He was also a System Architect for Openmoko, the first project to create a smartphone platform using free software. It used the Linux kernel, with a graphical user environment which uses X.Org Server, and the Matchbox window manager. The project also released full schematics of the open phone design. He was the architect of several open source hardware Qi hardware community projects, like implementing an IEEE 802.15.4 subsystem for Ben Nanonote , made up of two boards. He lives in Argentina, traveling around the world from time to time, speaking at conferences such as his keynote at the Linux Symposium in 2008, and for hardware and software work.